With the spring release of his first-ever Christian solo record, Backstreet Boys' Brian Littrell-one of pop's most recognized and bestselling artists-responds faithfully to a mission placed on his life long ago. "I've been a born-again Christian since I was 8 years old, and I've known for a very long time that making music for the church has been my calling," Littrell says. "God laid this on my heart, and it's time to do something about it. It's not my timing but His." A straight-ahead pop record, Welcome Home illuminates God's unequivocal, life-giving love for humanity and outlines the possibilities when people dedicate themselves to a higher purpose. In conjunction with Jive Records, the Reunion Records project arrives on the heels of last summer's No. 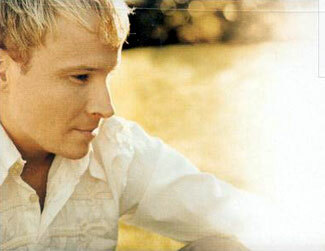 1 Christian radio single, Littrell's remake of "In Christ Alone," a critically-acclaimed track off WoW #1s. "My main objective as a Christian artist is to spread God's word. God has allowed me through the Backstreet Boys to minister in a positive way, encouraging people to stand up for what they believe," he says. Belying his stardom, Brian Littrell engages you like a next-door neighbor, warm and familiar, speaking still with a hint of a Southern accent. He lives in Atlanta with his wife, Leighanne and their son, Baylee, hailing originally from Lexington, Kentucky. That he enjoyed a rewarding childhood in the Bluegrass state-participating in school athletics and in various youth choirs at Port Memorial Baptist Church-was God's hand, he says. He was born with a congenital heart problem, a condition which made him incredibly susceptible to infections. By age 5, a small cut landed Brian in a hospital for an entire summer, the infection spreading throughout his small body. Doctors didn't expect him to live. "It's a miracle that I'm here today because they didn't really have medicine to overcome the infection. Instead, doctors were literally beating the infection, physically pounding my chest, to keep it away from my heart. "What kept me going was my faith," Littrell reveals. "My faith consisted of going to church and singing in church. Did I really understand what faith was at that point in my life? No, of course not. What 5-year-old boy does? But I did understand that there was some sort of relationship there. It directly tied me to people joining hands and praying around me. When you're in the middle of that, you feel power and energy." After high school, Littrell planned to attend college on scholarship at Ohio's Cincinnati Bible College, intending to study youth or music ministry. But his cousin, Kevin Richardson, persuaded him first to try out for an upstart, Orlando, Fla., vocal group. When the five-member team eventually emerged as Backstreet Boys, the band quickly grew to personify an unprecedented, youth-driven era in popular music. Since its introduction in 1997, BSB has sold more than 74 million records worldwide and has earned a mountain of accolades. With Welcome Home, Littrell exhibits a passionate heart and a deep soul, perspective richly fueled by a personal, Christ-centered worldview. Since Brian grew up on the music of big-voiced vocalists like Larnelle Harris and Michael English, it's fitting that Welcome Home blends influences from Christian, inspirational and traditional gospel music. On this canvas the artist proclaims faith as the anchor to his unique and storied life and in turn points listeners toward their own experience of enduring hope. For the project, Littrell tapped producers Billy Mann (Jessica Simpson, Ricky Martin), Dan Muckala (Backstreet Boys, Mandy Moore) and the production team of Mark Kibble and Dave Thomas (Take 6). I will open my arms...."
"You Keep Giving Me" expresses deep gratitude to God for all good gifts. Written by Brett Laurence and backed by a Nashville choir, Littrell approaches the song with robust hues of traditional gospel, a throwback to his musical roots singing as a teen backed by the adult church choir. Other highlights include the big anthem "Over My Head;" the sure-fire "I'm Alive;" "Grace of My Life," which warmly features Littrell's signature vocals; the sobering ballad "Gone Without Goodbye;" and, finally, Mann's "Angels and Heroes," one of the singer's personal favorites. "This is a song about standing for what you believe," Littrell explains. "It's a realistic view of how people should look at other people-how we can encounter one another and how we can directly affect someone's life with our actions or with what we say." The a capella "Jesus Loves You" aptly closes the record. Its forthright message plays off the childhood classic, seasoned with outstanding harmonies from Littrell, Kibble and Thomas-not to mention a special guest appearance by son Baylee. "These songs represent who I am and what I believe. It's no secret: What you see is what you get, and I couldn't be more proud to have the opportunity to share this music, both with the church and with longtime Backstreet fans alike," Littrell says. For sure, the music leaves little doubt Welcome Home represents one of the most special moments of this artist's decorated career. And although he'll continue to perform with Backstreet Boys, as well as working behind the scenes at the nonprofit organization he established-the Brian Littrell Healthy Heart Club for Kids-it's a foregone conclusion Brian's church-music influences won't be far from his mind. "There is nothing more rewarding than having a loving wife and a strong, healthy little boy," he affirms. "I am blessed. That's what God has given me, so I hope this record is a chance to give something back. Most importantly, I hope I can do something that opens doors and benefits lives."